A Dinner Conversation with Justice Elena Kagan J.D. '86/SOLD OUT! Elena Kagan is an Associate Justice of the Supreme Court of the United States. 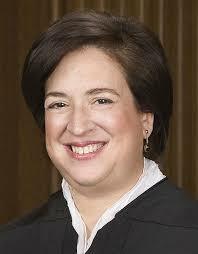 Kagan is the Court's 112th justice and fourth female justice. Kagan was born and raised in New York City. After attending Princeton, Oxford, and Harvard Law School, she completed federal Court of Appeals and Supreme Court clerkships. She began her career as a professor at the University of Chicago Law School, leaving to serve as Associate White House Counsel, and later as policy adviser, under President Clinton. After a nomination to the United States Court of Appeals for the D.C. Circuit, which expired without action, she became a professor at Harvard Law School and was later named its first female dean.